Discover how Cogito Intelligence API supports analysts for faster evaluation and analysis of documents, web pages, social media data or any big data sets or real-time information streams through full semantic processing features—text mining, categorization, semantic tagging, emotions, sentiment, fact mining, write print and extraction of relationships between entities. Select one or more articles from Live RSS, or enter a text or URL. 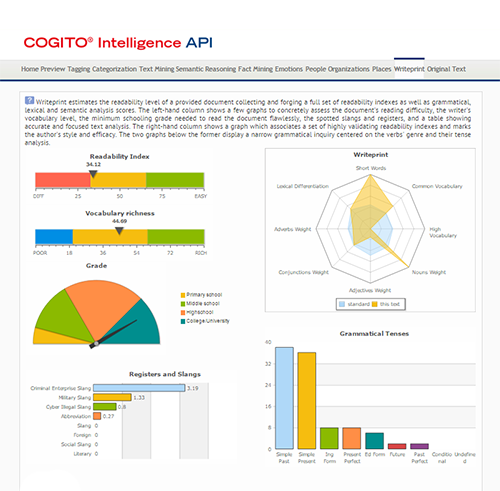 Cogito Intelligence API analyzes the information for you. 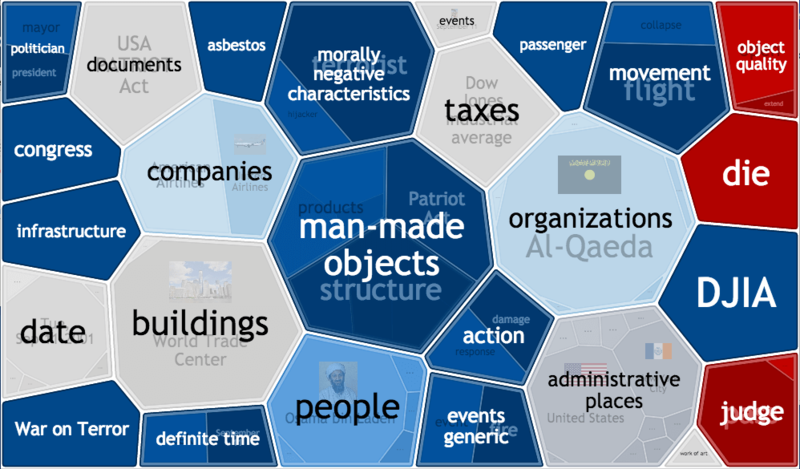 This demo highlights a sampling of the features that makes the Cogito semantic technology truly unique. Use Cogito Demo for a range of text analysis features, from disambiguation, grammar analysis, to identification of categories, entities and relations between entities, most important elements in text and sentiment monitoring. Cogito is also easily integrated in any software platform or architecture. 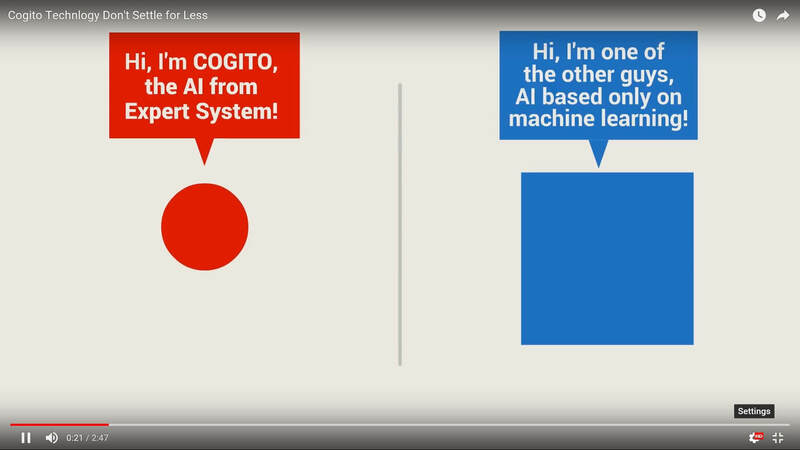 To try Cogito Demo, simply enter a URL (any text not in English, Spanish or Italian will be automatically translated), click Analyze… and explore (and enjoy) Cogito semantic technology! Discover Biopharma Navigator demo to explore the biopharma data landscape through user-friendly analytics and visualization, charting your answers in a few clicks. Biopharma Navigator provides natural language processing for life-science analysis with a 360-degree view of a single piece of data and related elements, helping you discover information and connections you didn’t even know you were looking for.